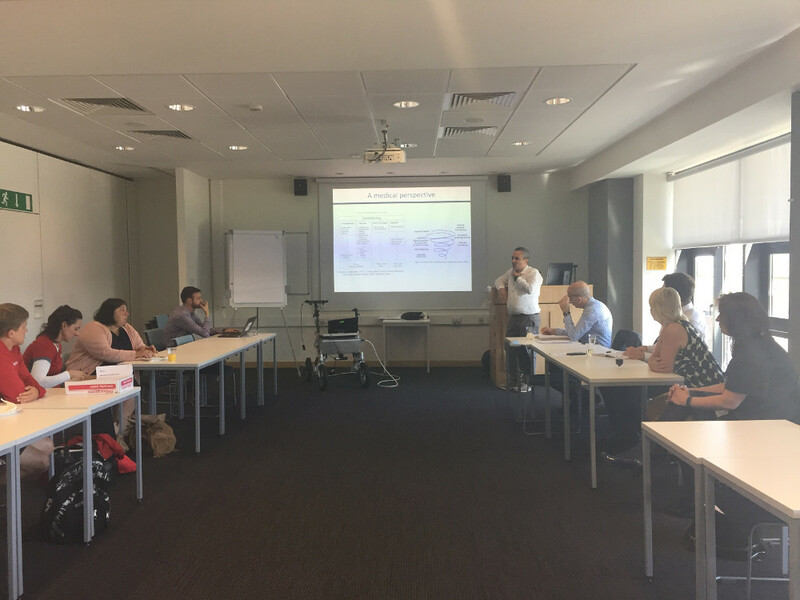 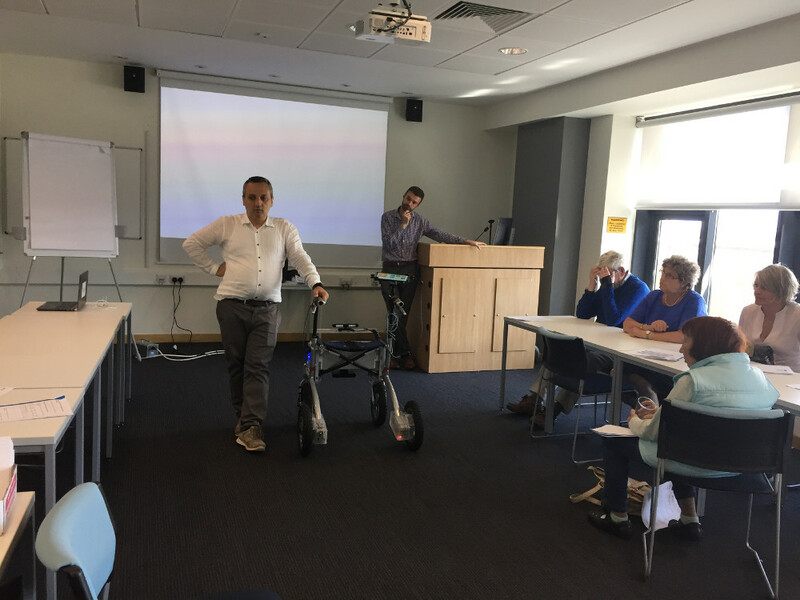 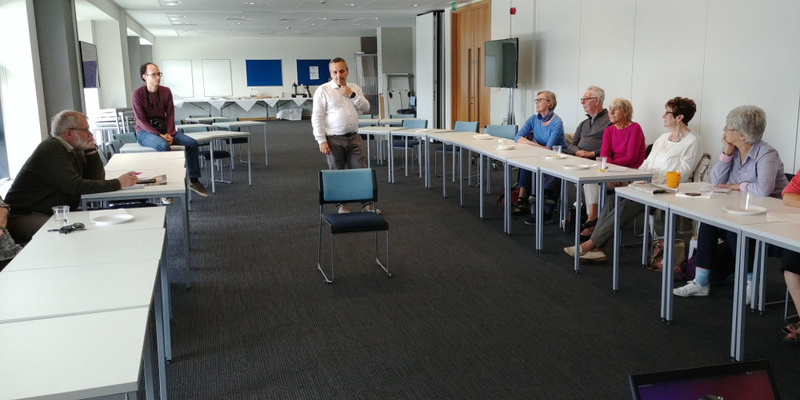 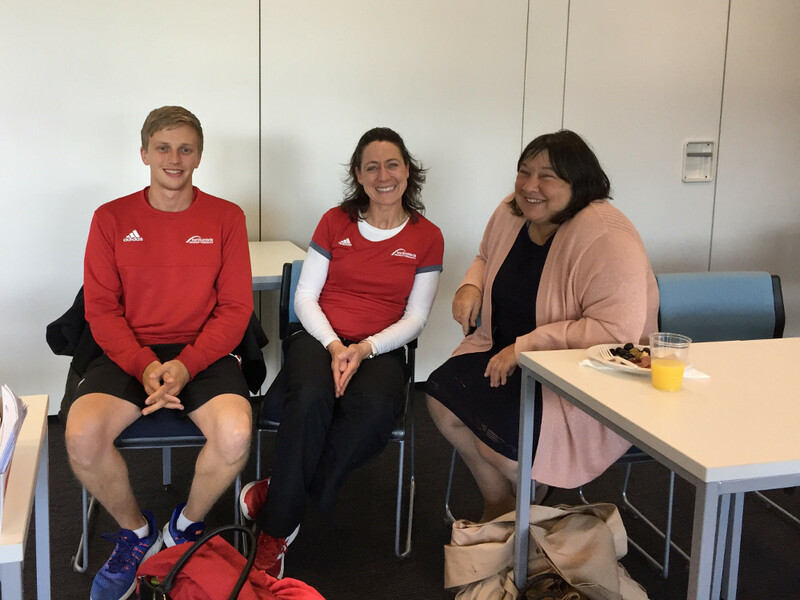 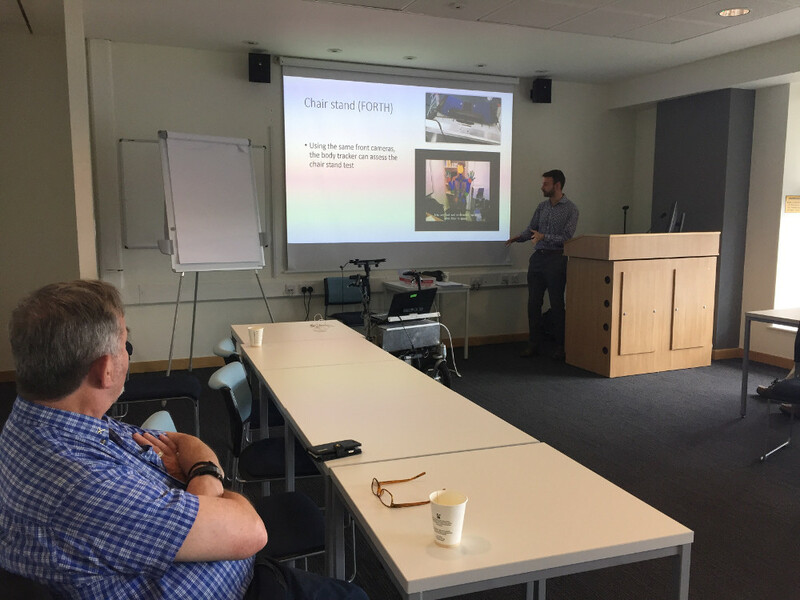 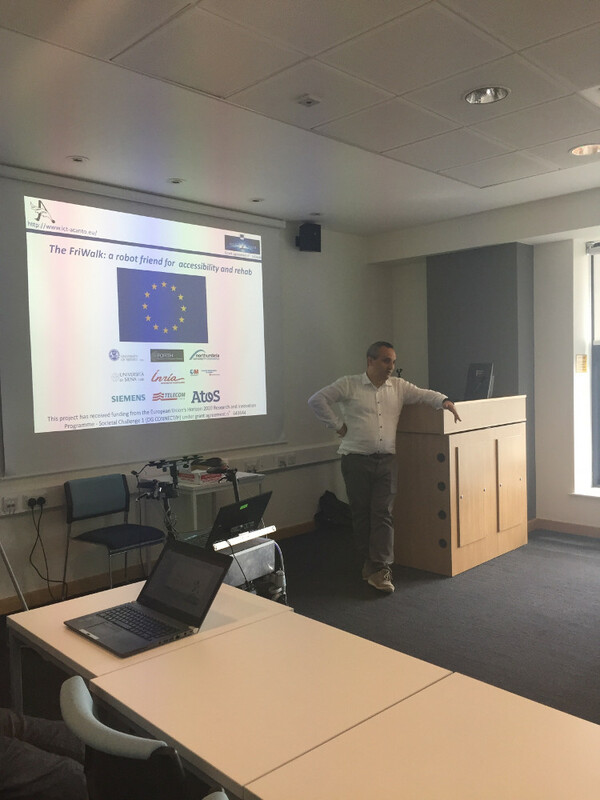 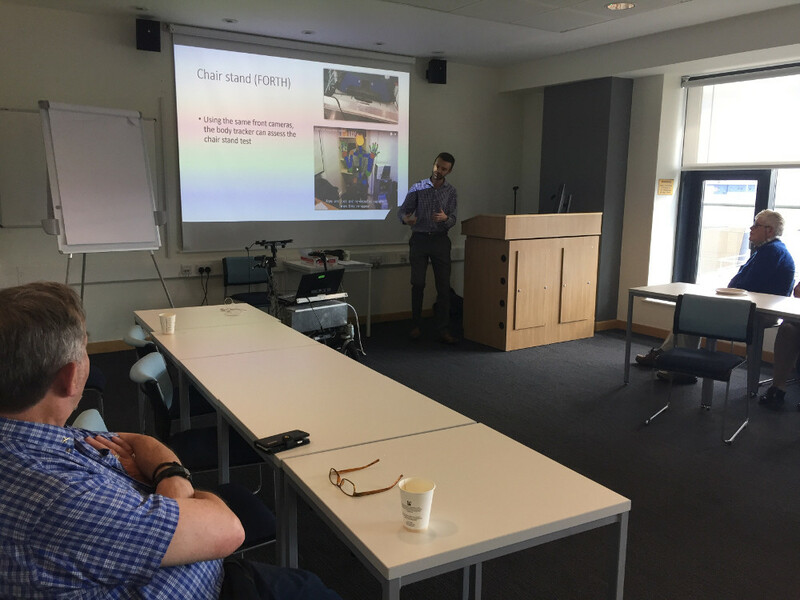 [England, June 14th 2018] – The leader of the ACANTO Project, Dr Luigi Palopoli traveled to Newcastle upon Tyne, England, to introduce the ACANTO walker. 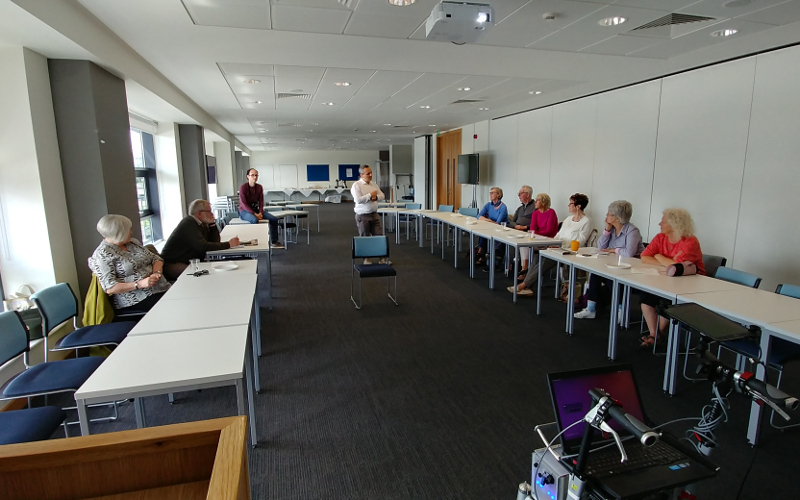 Several meetings took place across the course of the day in which older adults involved with the ACANTO project (who contributed ideas for its design) and other interested older adults were given a presentation of the device, a demonstration of its features, and were invited to try it out for themselves. 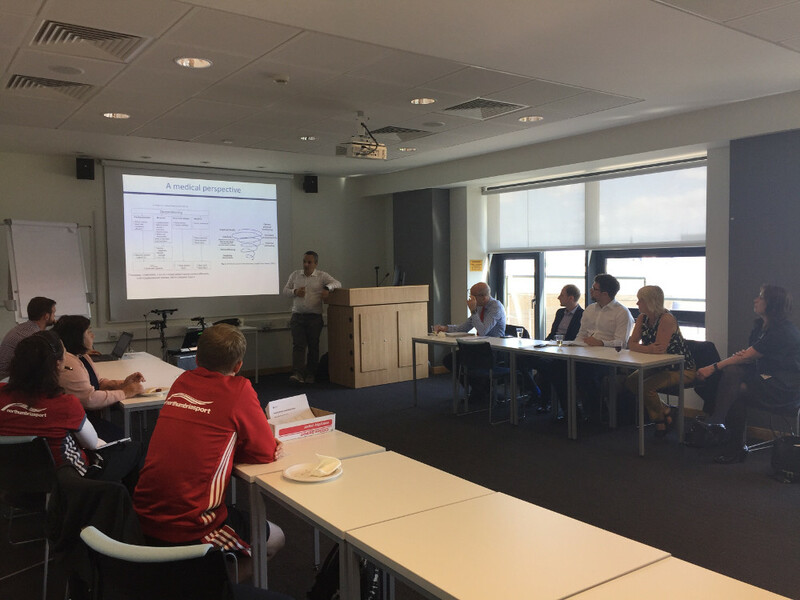 The final event of the day brought together a group of professionals such as physiotherapists, academics and architects. 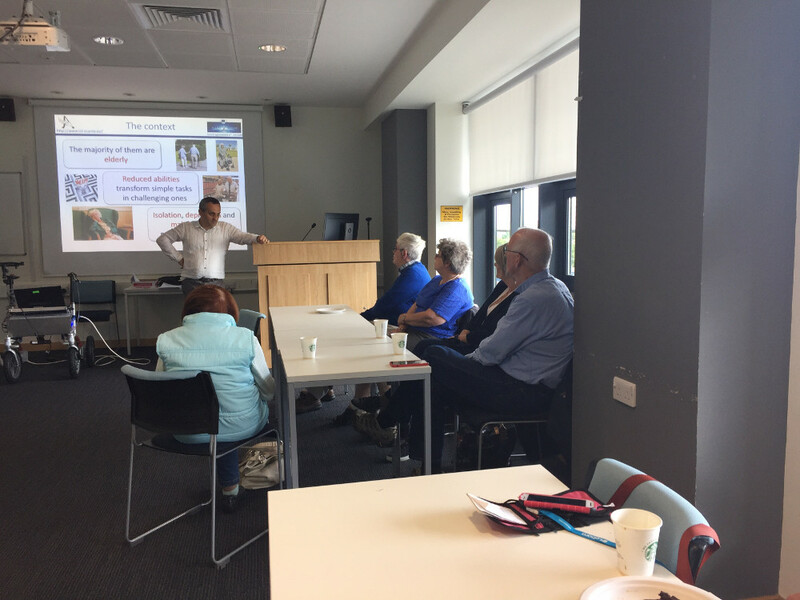 All the different audiences were keenly interested in the walker and its features: older adults for its potential benefits during rehabilitation, academics for its advanced technology, physiotherapists because of the detailed presentation of patient-data, and architects for its ability to be used in indoor environments to assist older adults.